I am interested in understanding how neuroscience can help improve learning and reasoning and how different experiences can change the brain. When I am not at the lab, I am probably dancing, drinking coffee with friends, seeing a concert, or on a trip. 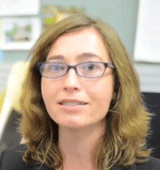 Silvia Bunge directs the Building Blocks of Cognition Laboratory at UC Berkeley. Her team studies the brain machinery that makes it possible for us to follow rules, think through difficult problems, and make good decisions. 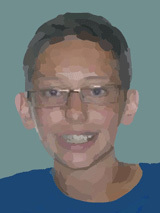 The lab studies kids of all ages, from preschool onward, as well as young adults. I was born in Italy, grew up in Japan, and now live in the USA. As the oldest of three brothers, people say I am the calm, collected one. I enjoy swimming, running, reading, and playing saxophone. Looking forward to high school this year! 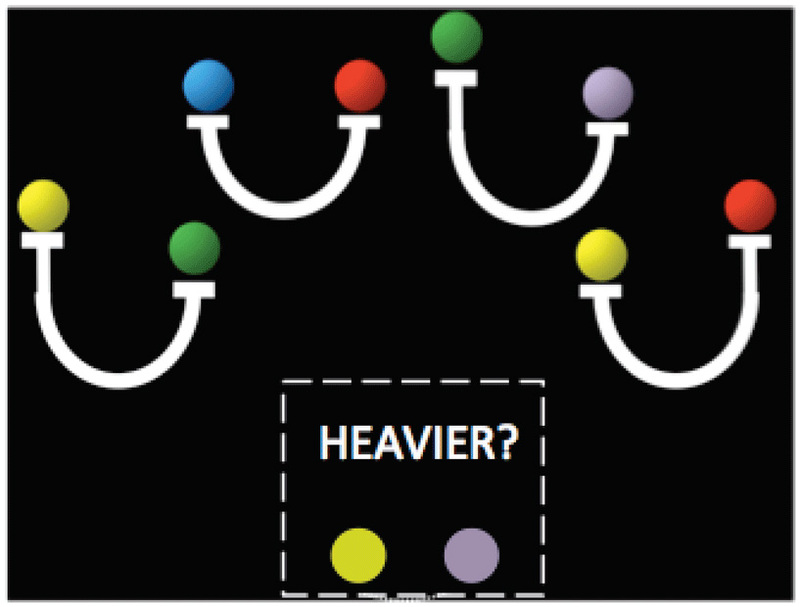 Look at the puzzle in Figure 1, which shows the weights of different colored balls. Can you tell whether the yellow ball or the purple ball is heavier? The balls are placed on a white balance to see which one is heavier. The green ball is heavier than the yellow ball, and the purple ball is heavier than the green ball. So, the purple ball must be heavier than the yellow one! To solve this puzzle, you must use your reasoning skills. Reasoning allows you to compare objects, like when deciding which shoes would be better for playing basketball, or to make more abstract comparisons, like deciding whether the purple ball or yellow ball is heavier to solve the puzzle above. 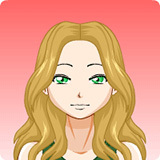 With good reasoning skills, you can learn new things more easily, both at school and in your favorite hobbies. These skills help you to: (1) make sense of new information by linking it to other things that you already know, (2) understand the point of a story or problem and how this can be applied in a different context, and (3) notice when something does not make sense or goes against something else that you have heard . Studies show that children with good reasoning skills find it easier to get good grades in school and can handle more challenging careers when they grow up. There are many different parts of the brain that you use when you are reasoning. Magnetic resonance imaging (MRI) is one method that researchers use to investigate what the different parts of the brain do. During an MRI scan, participants lie down in a tube that is surrounded by a big magnet. There are lots of really cool ways in which we can use MRI to look at the brain (for more information, check out the AcademicKids online article on Brain imaging ). One method that we use is through functional MRI (fMRI), which tracks the flow of blood to different brain areas. The areas of the brain that are active, such as the ones that are working when you solve a reasoning problem, require nutrients that the blood delivers. More blood flow to a particular part of the brain means that this part is working hard. So fMRI helps us look at the functioning of the brain. If we use fMRI to measure blood flow in your brain while you are solving the ball task, we would find that many parts of your brain are active at once. Two brain regions that are particularly active when people solve difficult problems are shown in Figure 2: prefrontal cortex, at the front of the brain, and parietal cortex, near the back . When you are figuring out the colored balls problem above, parietal cortex first helps you understand that the picture above tells you the weights of different colored balls, so that you can compare them. Then, prefrontal cortex helps you combine the relationships between the balls. Your prefrontal cortex figures out that if the purple ball is heavier than the green, and the green is heavier than the yellow, then the purple ball must also be heavier than the yellow one. At least, this is what we think we have learned from our fMRI research about how prefrontal and parietal regions help us to reason . This is an example of a reasoning puzzle that we ask people to solve while we measure their brain activity. 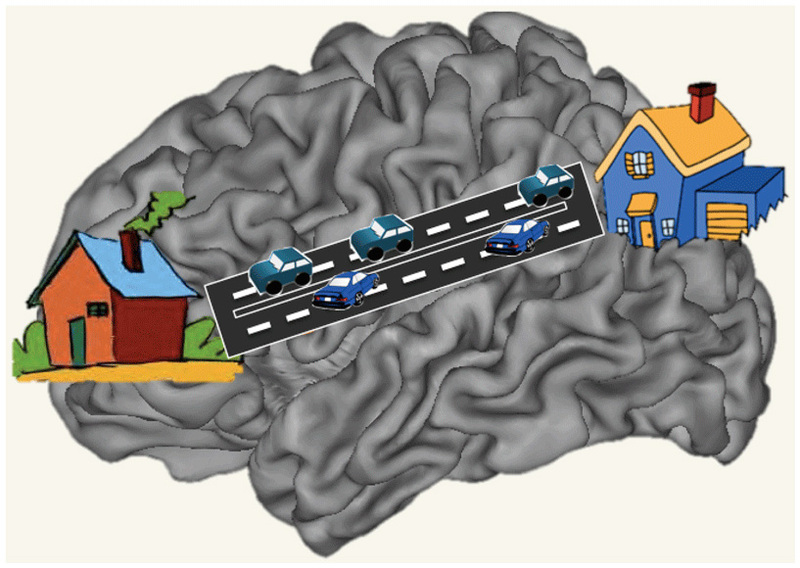 Figure 2 - This image comes from an fMRI study of reasoning. The parts of the brain that have increased blood flow while you are solving a difficult puzzle compared with an easy puzzle are shown in red. These parts of the brain get better at their jobs as you grow up, because your brain has the amazing ability to change, adapt, and get stronger – especially when you are a kid, but also as you get older. Many things can influence how your brain grows and changes. Your environment, like your home, your school, and the things you choose to do, can shape how these important parts of your brain develop . In the Building Blocks of Cognition Lab at the University of California at Berkeley, we wanted to investigate whether a training program specifically designed to exercise the reasoning parts of the brain would improve reasoning. A graduate student named Allyson Mackey and her team of research assistants got 7–10-year-olds to play games from our local toy store for around 1 h/day, twice a week, for 8 weeks – a grand total of around 16 h. The kids played with board games, cards, and computerized puzzles and games. 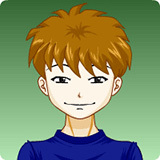 The point was not to get really good at any one game, but instead to learn how to play lots of different games. The kids were divided into two groups. One group played games that we thought would exercise their reasoning skills, such as the game SET shown in Figure 3A. The other group of kids played games that require quick decision-making, like the game Blink shown in Figure 3B. We compared the reasoning training program with this speed training program because we wanted to see whether playing different kinds of games would boost different kinds of skills. 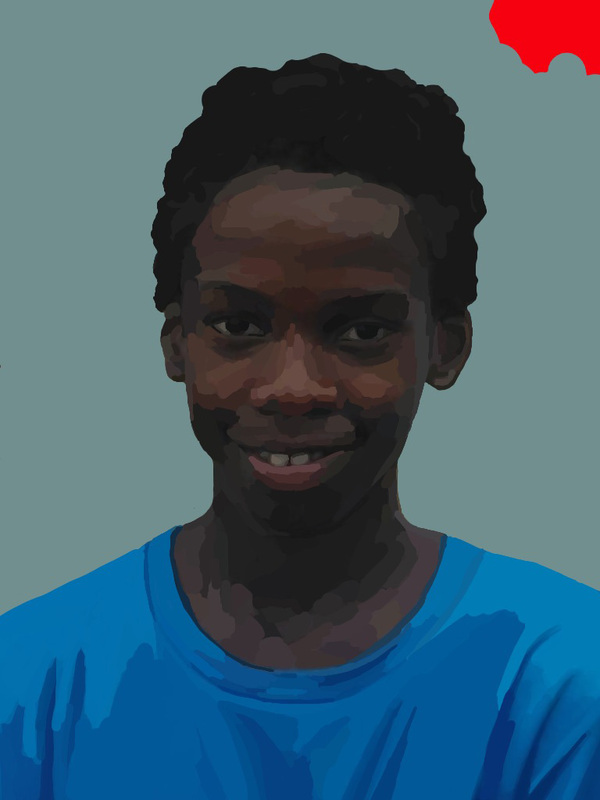 Here are examples of the games that kids played in our first training study . A. A reasoning game called SET. B. A speeded decision-making game called Blink. These games both involve shapes, colors, and numbers. In SET, you have to use reasoning to compare different cards using color, number, AND shape. In Blink, you only need to compare one thing, color, number, OR shape. These and other great games can be bought at a toy store or played online. Before the 8 weeks of game playing, we measured how well the children in the two training programs performed on tests of mental ability. After the 8 weeks of training, we tested both groups again, to see whether they had gotten better on these tests. The children who had played games like SET improved a lot on the reasoning test and showed improvements in spatial working memory and one of the speed measures. The children who had played games like Blink showed a different pattern: they got a lot faster on the speed measures but were not any better at reasoning . 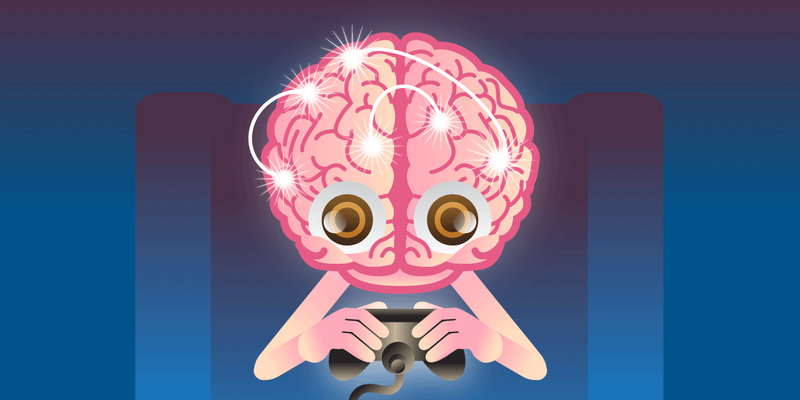 These results show that playing different kinds of games can sharpen different mental skills. These are really exciting findings! However, our work is not done yet. For one thing, this study included only a small number of children. We would like to run this same experiment again with a larger group of children to make sure that we get the same findings. This is a process known as replication, and it is a really important part of scientific discovery. For another thing, we still do not know whether playing reasoning games can help to boost kids’ performances in school – that is what our laboratory is testing right now in a study involving children who are learning to play chess, one of the oldest and best reasoning games. After showing that practice can improve reasoning skills, we wanted to test whether and how reasoning practice changes the brain. To answer this question, we recruited two groups of young adults who wanted to go to law school in the future. These two groups had nearly the same average age (about 21 years old) and reasoning ability; the only difference was that one group had signed up for a 3-month class to prepare them for the law school admissions test (LSAT), whereas the other group had not. The LSAT involves many logic and reasoning problems, and so a big part of the LSAT preparation class involved learning how to solve reasoning problems. In fact, students in this class spent 70% of the 100 h of class time – or 70 h – exercising their reasoning skills. The other 30 h of class time were spent practicing reading comprehension and answering questions about assigned readings. The students in this class were our experimental group, and the students who were not in this class were our control group. We included the control group to make sure that any changes that we saw in the experimental group were related to participating in the LSAT preparation class. The experimental group had slightly below average LSAT scores before the class, but after reasoning training, they improved to well above average on the reasoning section of the test! Because of their reasoning training, these students had a greater chance of getting into a good law school. However, the 30 h spent on practicing reading comprehension did not improve scores on the reading section, maybe because reading comprehension is a skill that is already practiced a lot in college. Because the students improved on the reasoning section, this may be a skill that is not as strongly trained in the classes that these students took in college. We also used fMRI, the method used to see how the brain is functioning, to see what happened to both the experimental group and the control group, before and after the 3-month period of the study. We measured everyone's brain activity with a 6-min fMRI scan, while they relaxed in the MRI machine. 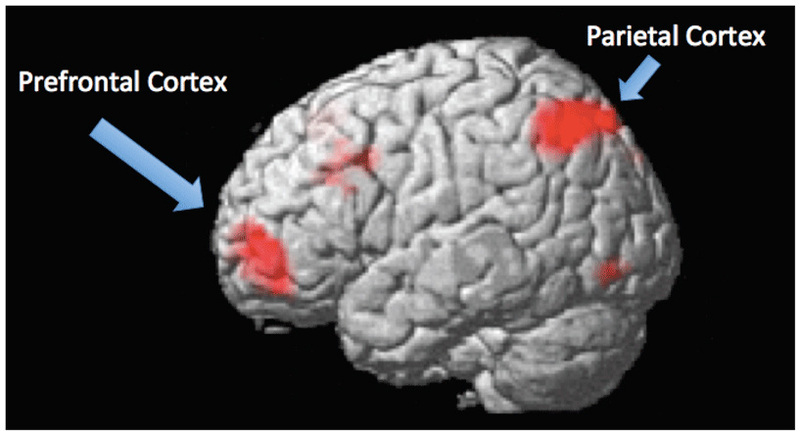 The results in Figure 4A show that prefrontal cortex and parietal cortex (those two parts of the brain that are especially important for good reasoning) communicated more closely after 3 months in the experimental group, but not in the control group. These results show that preparing for the LSAT helped to strengthen the brain network that supports reasoning . These pictures show some of the changes we saw in the brain after 3 months of LSAT preparation. A. The brain regions that had the biggest changes in connections after training are shown in red and pink. Prefrontal cortex and parietal cortex, two important areas for reasoning, are colored in bright red because they showed the biggest changes in activity after LSAT test preparation. B. This DTI image shows, in blue and green, white matter changes after 3 months of reasoning training. While our study participants were in the MRI scanner, we also used diffusion tensor imaging (DTI), an MRI method that helps us see the white matter in the brain. White matter is like the roads and highways between neurons that help different areas of the brain talk to each other. Water moves through the brain along these white matter pathways, and we can measure what paths the water takes through the brain with DTI. We wanted to test whether practicing reasoning skills for 3 months could lead to changes in DTI measures, which would suggest changes in white matter. As shown in Figure 4B, we found DTI changes in prefrontal and parietal white matter in the experimental group compared with the control group . We think that the white matter connecting these important reasoning areas became less like a gravel road and more like a big superhighway with more cars and faster speeds. These findings show how important it is to exercise your brain and practice your reasoning skills. Getting into the habit of tackling challenging puzzles and games might improve your brain function and might even help you solve difficult problems both in and out of school. You can get better at anything with lots of practice – chess, skateboarding, a different language – and if you take a short break from it, you can usually start again close to where you left off. But if you stop doing it for too long, you will not be as good at it as you were when you were practicing the most. Just like the muscles in your body, you need to exercise your brain regularly to keep it strong and working at its best. This research is a good reminder that everything you do affects your brain, for better or for worse. Watching a little bit of TV or playing your favorite video game once in a while is probably fine, but you should be exercising your brain and body in lots of different ways – indoors, outdoors, alone, and with friends. 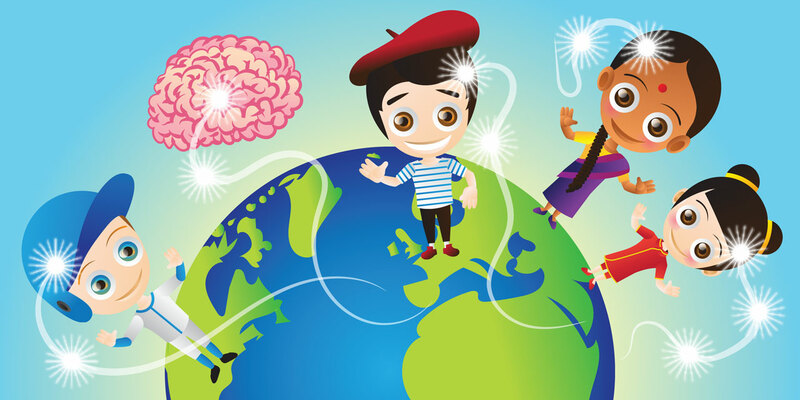 Because the parts of the brain that help you to reason develop when you are a kid and teenager, it may be especially important to exercise your brain while you are still growing up . ↑ Cattell. 1987. Raymond Bernard. Intelligence: Its Structure, Growth and Action: Its Structure, Growth and Action. Amsterdam: Elsevier.